The revolution will be televised. And if you’re watching the revolution online, chances are you’ll be doing it on an iOS app. That’s just one of the fascinating conclusions—minus the prospect of a revolution, of course—drawn from a quarterly report by Adobe on video consumption. The illustratively titled US Digital Video Benchmark for the first three months of 2014 compiles and analyzes online TV (TV Everywhere) and non-authenticated online video trends. According to Adobe, iOS apps topped browsers as the most popular access point for TV Everywhere content. iOS apps grabbed a 43 percent share of this market between the first quarter of 2013 and the same period in 2014. Browsers came second with a 36 percent share—down 47 percent a year ago. This seismic shift signals that the move from the desktop to mobile devices is now well under way for online TV viewers. Android apps also grew, grabbing a 15 percent share, while gaming platforms hit 6 percent, up 539 percent form the year before. 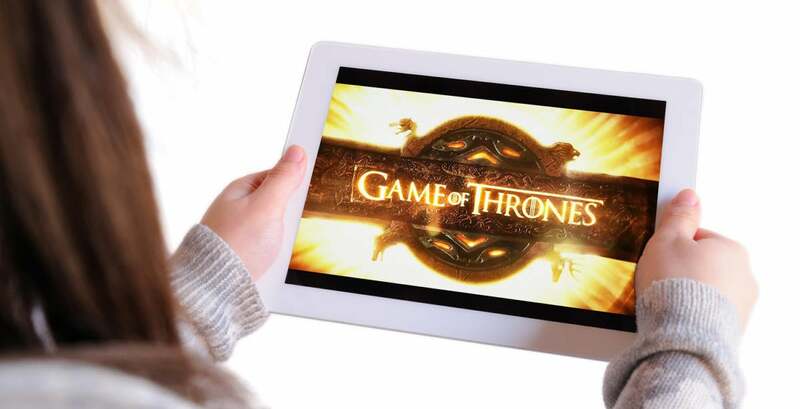 Another staggering figure (and another offense to math geeks who insist that percentages cannot exceed 100 percent): Overall online TV consumption across all platforms grew 246 percent year-over-year, with March 2014 setting a new record in total authentications. Adobe measured a portentous age split during this same time period: 80 percent of children’s content was viewed on iOS apps while browsers were used for 50 percent of news-focused videos. 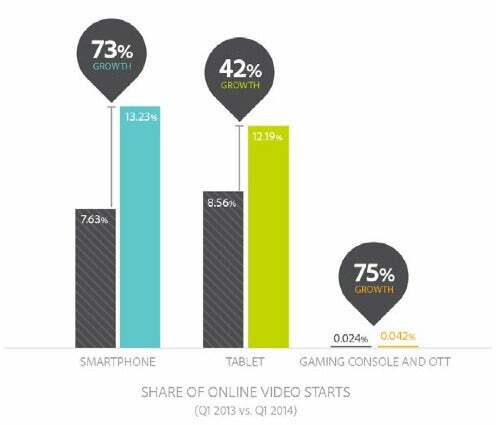 This data suggests that younger viewers are more likely to use mobile platforms for viewing. If true, that’s bad news for conventional TV broadcasters (and TV manufacturers) hoping to retain audiences using higher-resolution 4K broadcasts. History is not on the broadcasters’ side. When it comes to content consumption, convenience trumps quality. That’s a fact twice proven by the victory of visually-inferior VHS over Betamax videotape, and audibly-inferior MP3s over CDs. Adobe based its conclusions on data collected from more than 1,300 media and entertainment sites between the first quarters of 2013 and 2014. It incorporates 151 billion total online video starts and 1.3 billion TV Everywhere authentications across 250 pay-TV service providers covering 99 percent of U.S. pay-TV households, plus TV Everywhere content from 95 TV channels and over 160 TV Everywhere sites/apps.